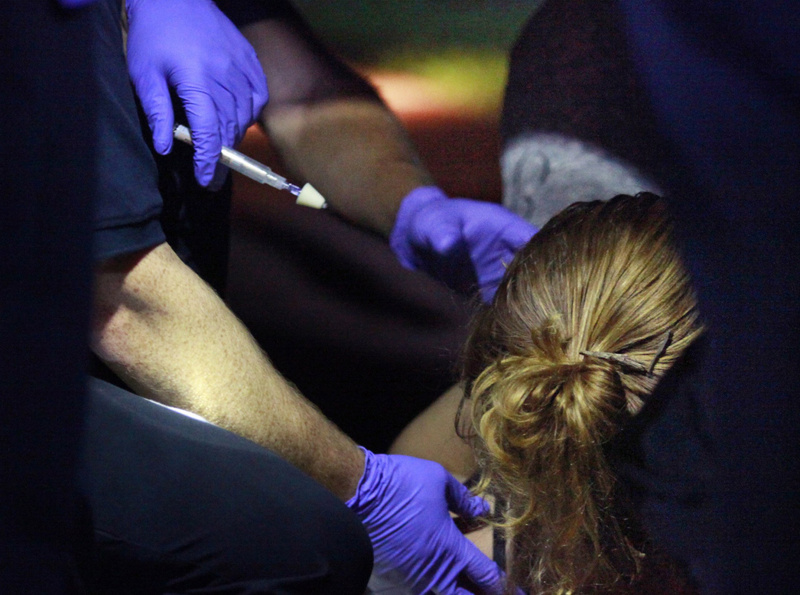 Portland paramedics respond to a call of a heroin overdose on Congress Street near the intersection of India Street in 2015. The 29 year-old woman regains consciousness after being administered 1 mg of Narcan to combat the effects of the heroin. She later said that she usually shoots up twice daily with half-gram doses, but had only used a quarter of a gram because she had heard that it was strong heroin.